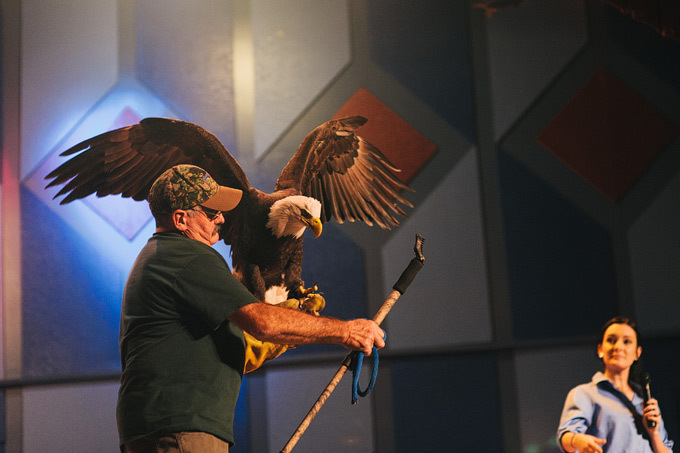 the chance to enjoy water cruises, guided bird walks, falconry demonstrations and exhibits of a live bald eagle. double in the wintertime as birds migrate south to Arkansas, Park Interpreter Julie Lovett said. “When the lakes and rivers up north freeze for the winter, the eagles migrate south to feed,” she said. 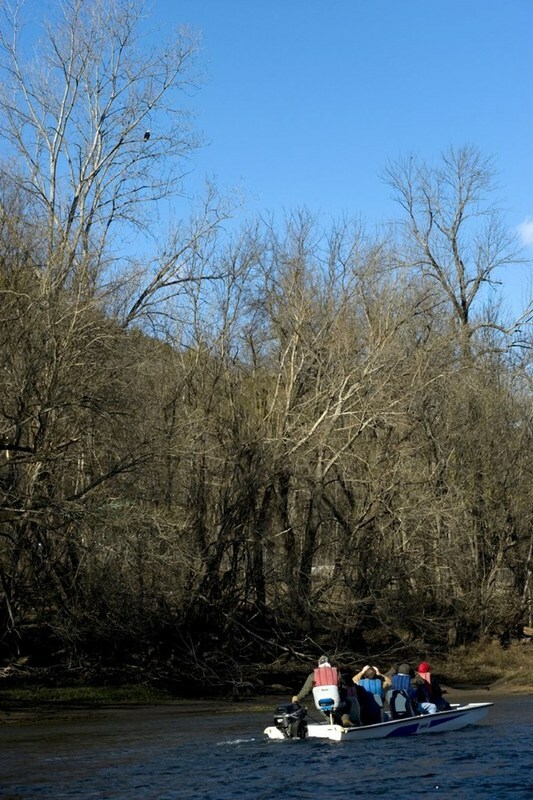 A guided boat tour down the White River and two boat tours of Bull Shoals Lake are offered Friday, Jan. 11. 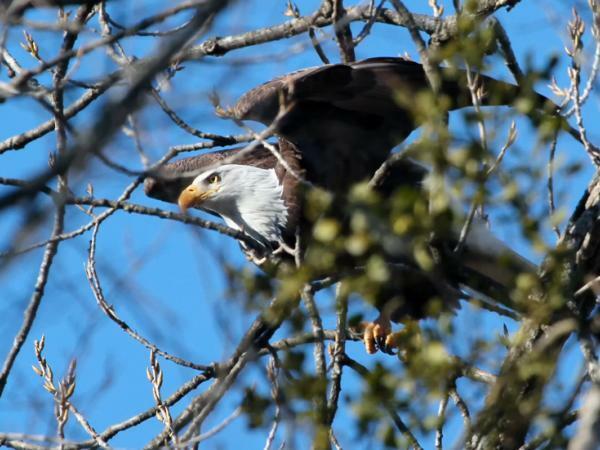 Participants will see wintering waterfowl and hopefully catch sight of a bald eagle. with a two-person minimum and a four-person maximum per boat. There are no reservations andseats are limited. Lake cruise participants will meet at either 9 a.m. or 2 p.m. at the Bull Shoals Lake Boat Dock office. Admission is $15 for adults, $7.50 for children ages 6-12 and free for children 5 and under. at 5:30 p.m. and 9:30 p.m., and a live raptor meet and greet at 7 p.m.
noon and 2 p.m. as well. Van riders may sign up in the Visitor Center lobby. 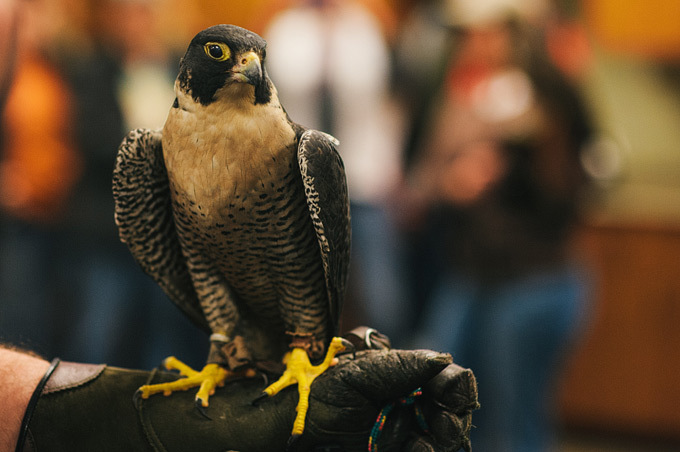 conduct a falcon flying demonstration at 1 p.m. at the Visitors Center. 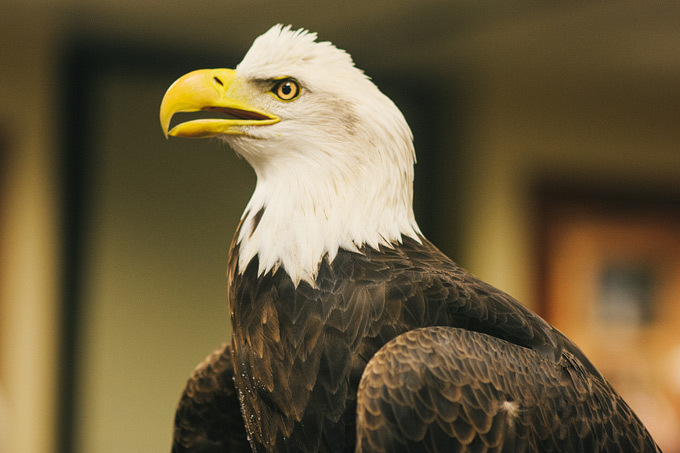 Central Arkansas staff members will give visitors a chance to meet some of the birds in their care at 2:30 p.m.
and visitors will have an opportunity to have their picture made with the animals following the demonstration. presentation 4:30 p.m. Tim Ernst presentation 5:30 p.m. Owl Prowl 7 p.m. Live raptor meet and greet 8:30 p.m.
Owl Prowl Saturday, Jan. 12 9 a.m. White River cruise 9 a.m. Van tour 9 a.m. Bull Shoals Lake cruise 9:30 a.m.
Avian Adventure Walk 10:30 a.m. Avian Adventure Walk Noon Van tour Noon Bull Shoals Lake cruise 1 p.m.
Falcon flying demonstration 2 p.m. Van tour 2 p.m. Bull Shoals Lake cruise 2:30 p.m. Raptor rehabilitation* 3:45 p.m.